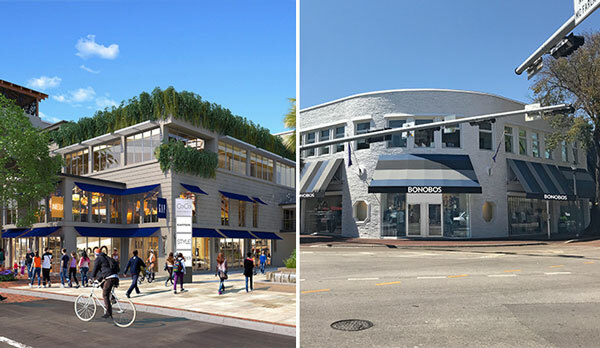 Three new retail and restaurant tenants are coming to Coconut Grove. Bonobos, Le Pain Quotidien and Poke305 just inked leases in the Grove, according to the Comras Company, which brokered the leases. Bonobos, a clicks-to-bricks men’s clothing company, took over Kit + Ace’s 1,960-square-foot space in Coconut Grove at 3401 Main Highway. Kit + Ace, a luxury clothing and accessories brand, opened its first Florida store at the Grove’s Engle Building in late 2015. An entity controlled by architect Bernardo Fort-Brescia’s family owns the building, which is also home to Büro Group, Harry’s Pizzeria and Panther Coffee. Bonobos opened on Wednesday. Its first Florida store is at the Wynwood Arcade. The Brussels-founded Le Pain Quotidien plans to open in a 4,142-square-foot space at 3425 Main Highway, also owned by Fort-Brescia, in November. And Poke305, a fast-casual restaurant, will open at 3415 Main Highway this month. The 1,152-square-foot lease marks the second location for Poke305. Comras Company is also leading leasing at CocoWalk across the street. Asking rents in the neighborhood range from $50 per square foot to $120 per square foot, depending on size and location, Michael Comras said earlier this year. CocoWalk’s owners, Federal Realty Investment Trust Grass River Property and Comras, plan to renovate and redevelop parts of the shopping center.